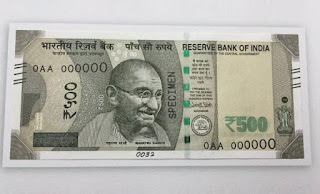 What is the Limit on Exchange Rs 500 & Rs 1000 Currency Notes to Lower Denomination Currency Notes? Yes there is a Rs 4000 daily Limit for a Person. Which Means anyone with the Valid Govt. ID Cards like PAN, Aadhar and Election Card can Produce the respective ID cards to Exchange Rs 500 or Rs 1000 Currency notes with lower Denomination currency notes at designated Banks and Post Office from November 10th to November 24th 2016.